Today we celebrate Joel's entry into this world. It didn't happen as we had "planned", but that seems to be how life with boys goes. We thought he would enter the world (through an induction) on 11/11. We had a friend all lined up to spend the night with Evan that night. Steve had his work schedule prepared. We were all set! Then we went in for the check-up on 11/9. I have this weird thing with my body where I don't really feel the contractions until about the time the baby is ready to come. So, when the doc said that I was already at 4cm but she could stretch me to about a 6, we were a little surprised. We decided to go ahead and induce that day, which was probably a good thing since I had to be on antibiotics for a couple of hours before he was born. So, we went home from the doctor's appointment, had lunch, and made some new plans. We went to the hospital and a few hours later, the little angel made his appearance. Unfortunately, again things were not to go according to our plans. I got to hold his for only a few seconds before he was put into the NICU. At midnight he was transferred to another hospital because he had been put on a ventilator. Thankfully, his breathing conditions were diagnosed, and his body healed. He was able to come home after only a week in the hospital. He continued to show us that he would not easily yield to our expectations. He had reflux problems that caused him to have choking spells and difficulty sleeping. This resulted in us having difficulty sleeping, too. After the reflux got under control, he turned into a more happy-go-lucky, compliant baby. As he grew, I realized that while he was generally compliant, he also is very strong-willed. This is an interesting combination, and definitely different from his older brother. It has provided me an opportunity for great growth as I try to learn what battles to fight and to have more patience. It's not always a challenge, though. He has also brought much light and laughter into our home. He cracks us up with his off-the-wall comments and his different way of seeing the world. He is creative and doesn't usually mind going his own way. I hope that he becomes an adult who keeps the positives of these traits - being resistant to peer pressure and a creative problem-solver. So, today we celebrate the birth of this member of our family - most notably by eating pizza 2-3 times and getting soda from Jones Soda Co. These were his requests for his birthday, so we are going with it. Remember, it's all about picking the battles! 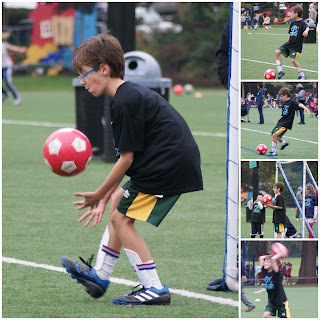 Evan's 1st Soccer Game - Updated! He did not get too disappointed that his team was a little outmatched, so that made me happy. I appreciate his competitive spirit, but really value good sportsmanship. He was able to show that and persistence in his first game. Way to go, Evan! Evan has now finished the season with this team. I am so proud of the growth that the team showed in a few short weeks! They really were playing well together and passing the ball around to each other by the last game. Given the fact that they only had 2 full practices and a few minutes of practice before each game, I was very impressed. Evan also impressed us with his ball-handling skills. He has declared himself ready for competitive soccer, and he is probably right. But next up will be little league baseball in the spring. That is how Joel described our recent trip to Tillicum Village. In fact he asked if we could go back every Saturday. We had to explain that while this was a super-fun adventure, it was not something we could do that frequently. 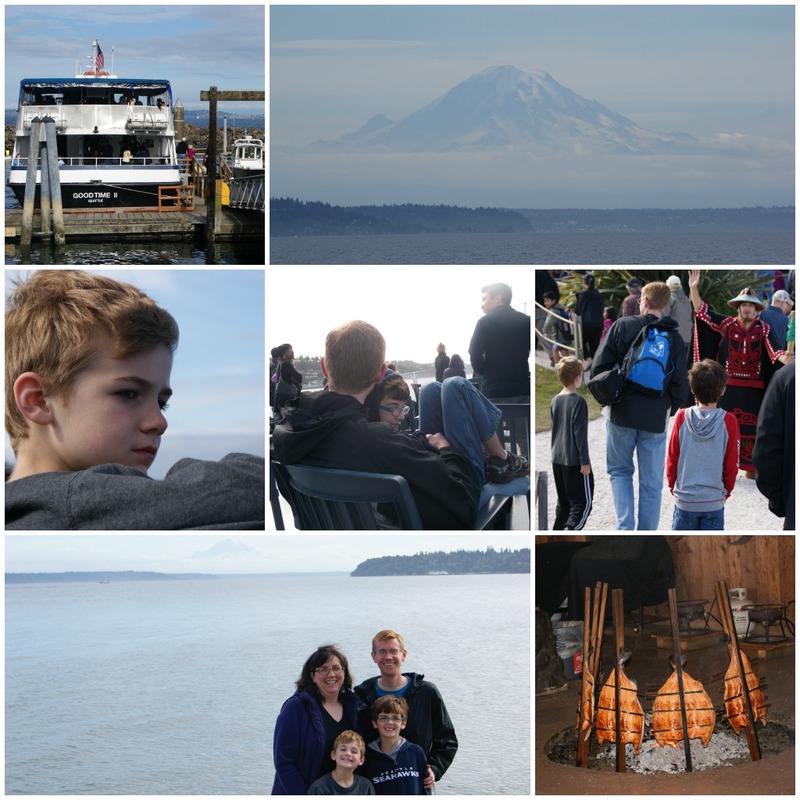 To begin the trip we had to take a ferry ride to Blake Island. I was a little concerned about Evan since we forgot his motion-sickness medicine. I needn't have worried because he did great! Everyone enjoyed the ride, even though it was a little breezy. We got some good information, but I have since forgotten it. I do remember that the water we went over stays about 34 degrees year round. That explains the chilliness! We also saw some amazing views of the city and Mt. Rainier. 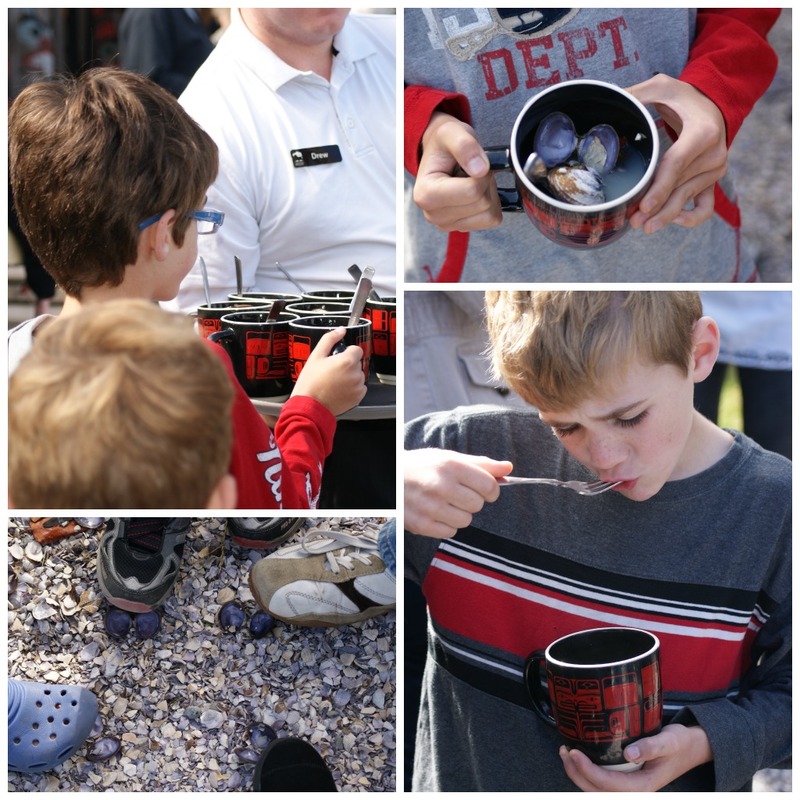 When we arrived at the island, we were greeted with clams streamed in broth or nectar. I was a little cautious since my only other experience with steamed clams was not very good. These were really good, though. We all ate ours. I was especially impressed with the boys who ate a lot of theirs. Inside the longhouse we had a buffet of salmon, stew, salad, beans, rice, and bread. 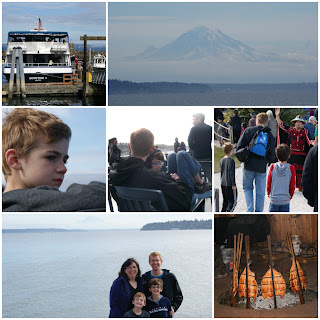 While we were eating we enjoyed a show about the history of the Salish coast peoples who first called this area home. It was a combination of film and live dance. There was a lot of interesting history. The boys were completely enthralled by the different dances. Afterwards we got to talk to some of the performers and see their masks. We also got to see someone carving a ceremonial mask. We also had a little time to explore the beach and part of the island. We saw some deer, some driftwood, some rocks, and Mt. Rainier. Last week we found out that Steve's grandma had passed away. Her health had been declining, but this was still not expected. 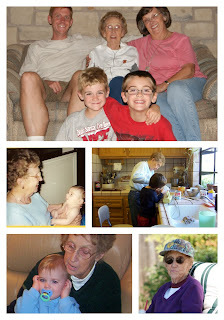 We were able to make it to California to be with the family to mourn her passing and to celebrate the life she lived. During the service several friends were able to share memories of her, and it was so special to be able to hear those and learn more about her life. We knew that she was a believer and that gave us more hope and peace during the services. What made the service even more special was that we learned more about how she shared her faith and her love to those around her during her life. Of course, even though we didn't live near, we have our own stories to share as well. Grandma Vine (as we call her) grew up in Arkansas. When I joined the family, I had fun discussing life in the south with her. Since my grandparents passed away several years ago, I enjoyed hearing her stories of life in Arkansas. One of the things that most southern women take pride in is their cooking. I don't know if Grandma took pride in her cooking, but she certainly shared her love with her family through her cooking. One day we were talking about fried pies, and I was saying that I like those but never learned how to make them. The next day she had made some for me. She wasn't feeling well before we got there, but she seemed so happy to be able to cook for us. On the way home from California, Steve mentioned that he wouldn't be getting pumpkin pies any more now. I was a little surprised since I make a pumpkin pie every year now. But it was because every time we went to visit Grandma Vine she made a pumpkin pie for him. She remembered that was his favorite, so she made sure to have one for him every visit. She did the same thing for everyone in the family. And everyone looked forward to her homemade peanut brittle and toffee at Christmas. It wasn't the food itself that was so good (although it was really, really good), but it was knowing that Grandma had made it with love specifically for you. She enjoyed doing things with the kids, too. Steve's mom tells the story of how Grandma crawled through packing boxes with Steve and his brother when they moved as children. She also took care of her toddler granddaughter when she was in her 70's. She loved our boys, too. She read to them when they were little. She let Evan help her make pumpkin pie when he got older. When they were in the pool at Aunt Judy's house, she wanted to be out there watching them. I only wish they could have gotten to know her better. But I am thankful for the memories that they have and that we can pass on to them. 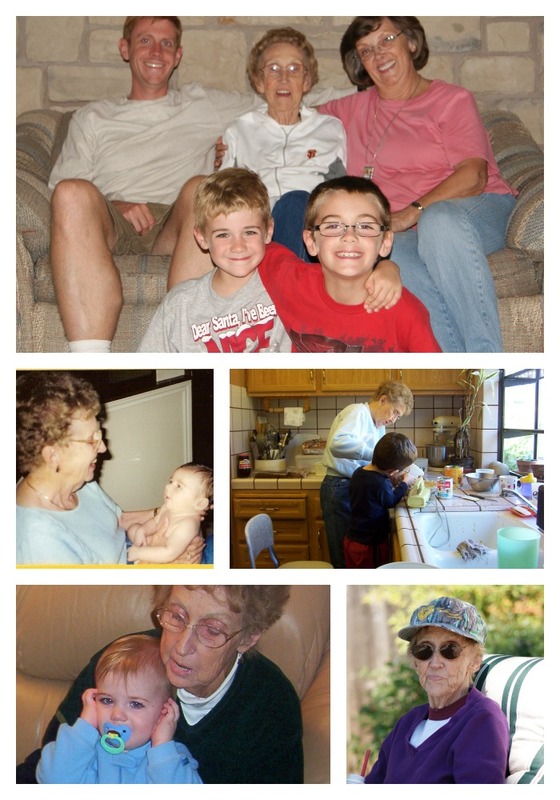 And I am thankful that we were able to celebrate her life with others who loved her and whom she loved. My wonderful husband let me have a week back in Texas to visit my friends! One of my best friends had her first baby in May, so I got to see her and the baby. And I got to visit our old church home and the boys' school. I ate out more than I have in a long time! And I got to sleep in a few times. Okay, I was still on west coast time so I stayed up late and slept in a lot. It was such a nice break! My first night back in Dallas, my beautiful friend and her family took me to Freebird's. Freebird's and I go way back. I remember when there was only one in College Station. My boys love Freebird's too, and I was a little sad they couldn't be there. But I wasn't so sad that I couldn't enjoy it. I especially had fun teaching my little friend the proper technique for eating a Freebird. The next day I went to my other beautiful friend's house to spend time with her and her new little man (and her husband, too). He is such a beautiful, sweet, and talkative 4-month-old! We had so much fun! We got in some meals too - Chick-fil-a and Freebird's again. I have probably missed those specific restaurants the most. If you want to see pics of the people I saw, you can go here. It was a lot to try to put into the blog. We started by getting our school supplies ready. I dumped all the school supplies into a pile and had them race to pull out what they thought was on their list. Then I called out each list and they re-adjusted the piles before putting it all in their backpacks. We had made back to school survival kits for their teachers before we left for the retreat. We just needed to have each child add their name to the note for the teacher and those were ready to go. We included some snacks, small hand sanitizer, Tide pen, and instant coffee packets since those first few days can be so hectic. I told each teacher that they were getting a glimpse of my sick humor by the inclusion of the sour patch kids. If they got frustrated during those first few days, they could deal with it by biting the head off of a sour patch kid. The kids woke up Tuesday morning in great moods and eager to start the day. Steve went with us to the school to see the kids to their new classes. (This school didn't have a meet the teacher night before school started.) The kids went into the gym and cafeteria to line up with their classes (as they would every day before school). Both rooms (really one big room with a removable divider) were crowded with students, teachers, and parents waiting to walk with their kids to their new classes. Before time for the first bell to ring, another familiar ring pierced the chaos - a fire alarm. Yep, a parent had accidentally set off the fire alarm, but we all had to evacuate to the playground and stay out of the building for 30 minutes. Everyone seemed to take it in stride, and it gave me a chance to meet Evan's teacher, too. When it was time, we walked with Joel to his 1st grade classroom and helped him get settled down. He didn't really need us, but we were glad to be able to be there. Of course, by then we had been at the school 20-30 minutes longer than we had planned and Steve still needed to get to work. I didn't get to stay for coffee and pastries with the other parents, but that was okay. After school, I took the boys to Baskin-Robbins to have the traditional first day of school ice cream. We missed sharing the snack with our Texas friends, but we were able to meet another family for the quick treat before they had to be at soccer practice. How does he eat it like that? It's hard to believe that the boys are back in school already. I miss having them at home, but I have been sick again, so at least I have been getting more rest. They seem to be having a good time. I have heard about new friends and fun times at lunch and recess. I don't get too many more details, but I don't get complaints either. Sounds like a good start to me! Joel had a lot of trouble with the concept of a "church family retreat". He wanted to know what we were trying to get away from. Steve and I were really looking forward to it. I had heard of family camps, but never a family retreat. And I had never been on either. This was a welcome way to spend our Labor Day weekend, before the kids had to start back to school. We went to a retreat center in Auburn - less than a hour away from our house. It was a beautiful, rustic setting but it had plenty of modern conveniences. We stayed in a building with our meeting room in the middle and individual rooms in wings off each side. Each room had a queen bed and bunk beds as well as a private bath. They arranged the rooms according to ages of kids, so people with babies were grouped at the end, then people with slightly older kids, etc. It worked really well. It wasn't noisy at sleep time but the kids had their friends nearby. Of course, with all of the activities going on, we weren't in the rooms very much. We had a speaker for the adults who discussed apologetics with us. His name is Hank Hanegraaff and he is the host of The Bible Answer Man Show. He had some topics that he presented like lectures, but there were several sessions of Q&A, too. He was also available for questions during free time and meal times, too. He also brought one of his 12 children with him. His 8-year-old got along great with our kids, and they were almost always together. The kids had their own program during the adult lecture times. The people who ran the VBS the boys attended came to the retreat to lead the kids in lessons, crafts, and games. Everyone seemed to have a great time and the boys came home with the cutest tie-dye shirts and picture frames. There was also lots of free time built into the schedule and a family campfire night. So, we got to have lots of fun together, too. The guys enjoyed the swimming pool while I napped. We all rode go-karts together. The boys spent a lot of time on the playground. There was even a few minutes of disc golf fun one day. Most of my pics from the weekend are of our free time. Some of them can be seen here. This retreat weekend was a first for our family, but one that we are looking forward to repeating next year! I am a mother of two precious (and crazy) boys and a wife to a wonderful husband. I like to scrapbook, but don't always have the time. 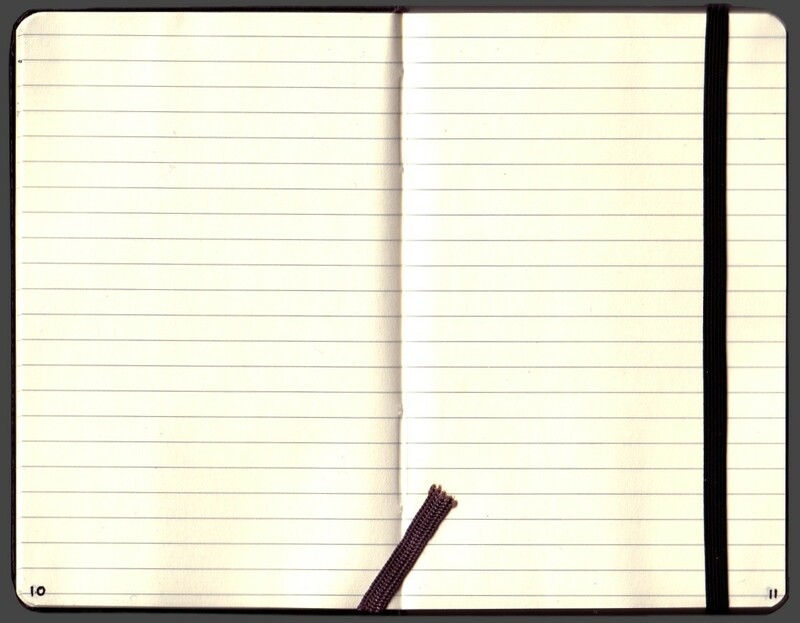 This is my virtual scrapbook to record the highs, lows, and in-betweens of our journey on Earth. The journey is important, but only as it makes us more like Christ and gets us closer to our forever home. Checking in ... and check out this giveaway! Holland . . . Party of 4???? What Happens When Someone Takes Over Your Email Account? !